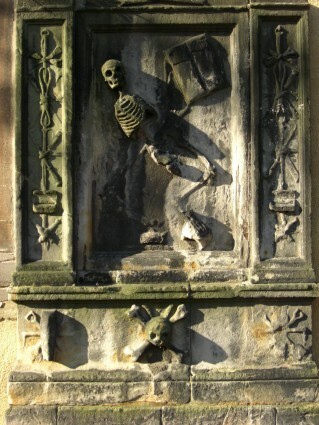 Greyfriars is reached off Candlemaker Row at the west end of the Old Town of Edinburgh, one of the most Gothic places in one of the world's great Gothic cities. 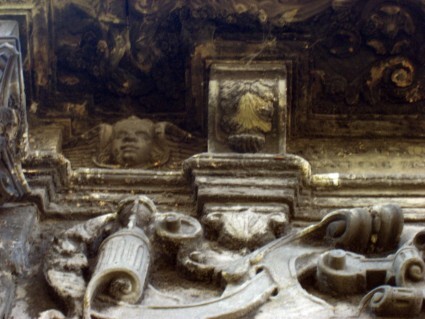 You can often take very nice Gothic-looking photographs by playing with angles and light. 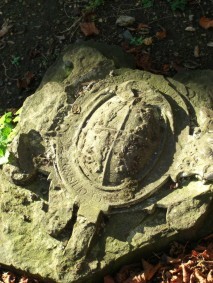 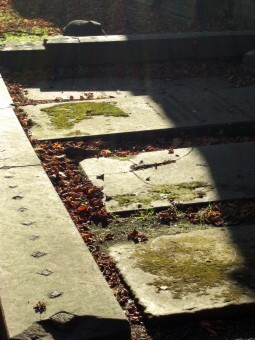 But at Greyfriars, while good raking Autumn sunlight helps matters, you can't lose anyway. 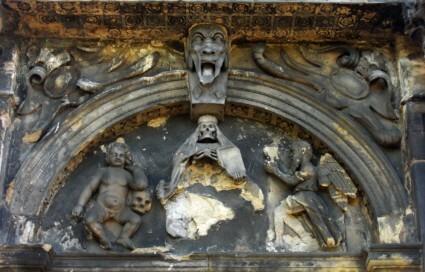 This place contains the most astonishingly grim collection of funerary art virtually anywhere. 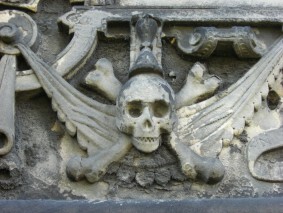 Everywhere you look, the imagery of death and decay; which raises the question, Why? 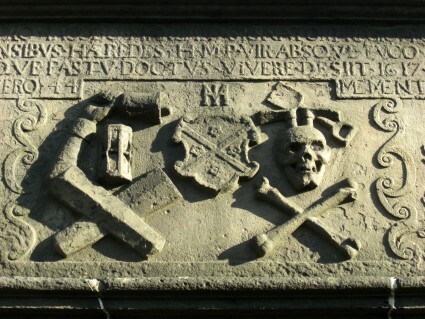 What inspired the stern burghers of late Tudor and Stuart Edinburgh, in particular, to produce such wonderfully dismal and horrid art? 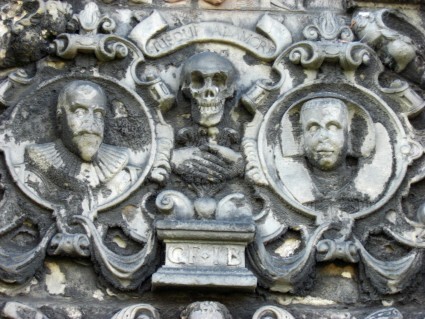 Was their sensibility really so different from ours? 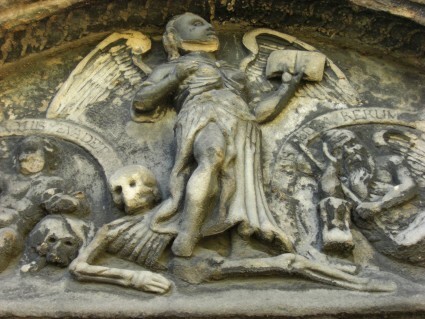 Did they really think that this imagery was somehow uplifting, and pointed their minds to the Resurrection for which they all hoped? 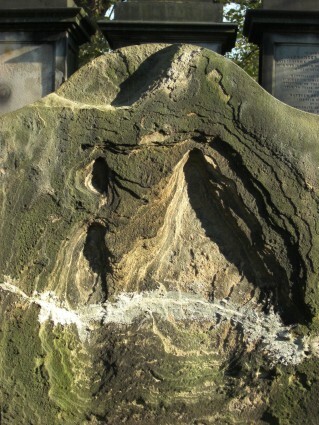 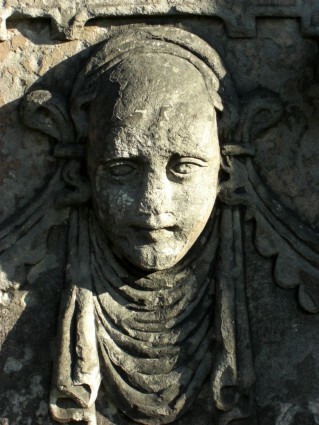 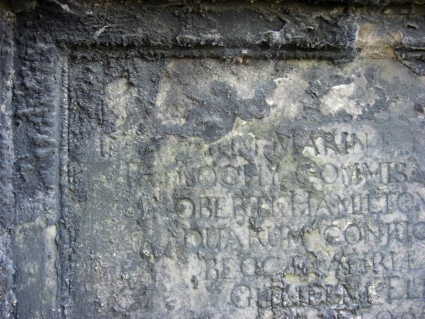 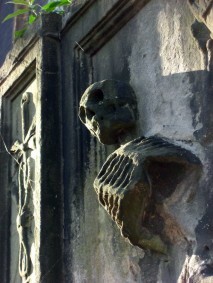 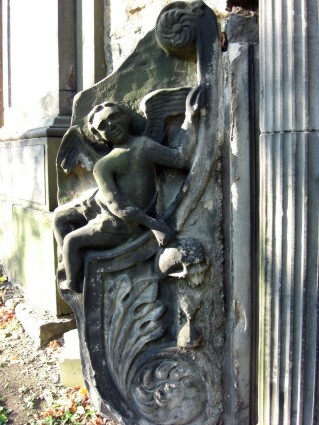 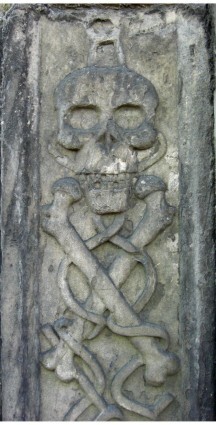 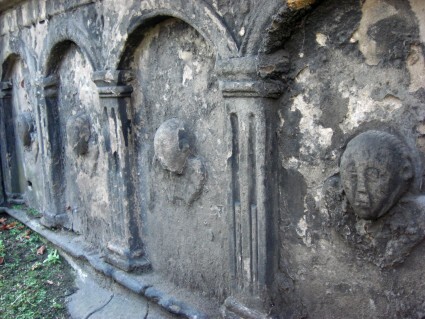 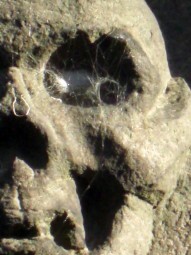 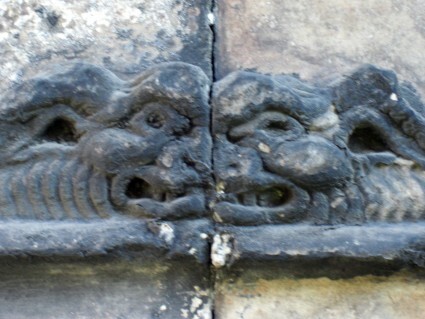 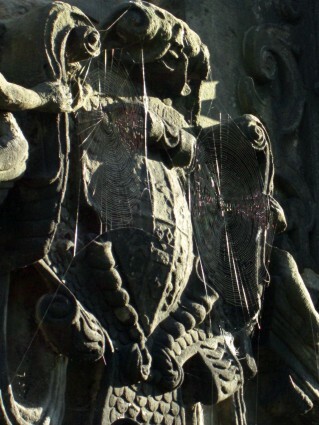 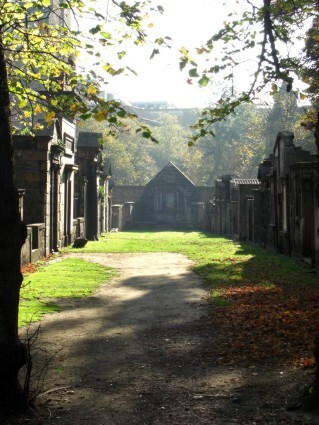 Even without the skulls and crossbones, the kirkyard has a uniquely disagreeable atmosphere. 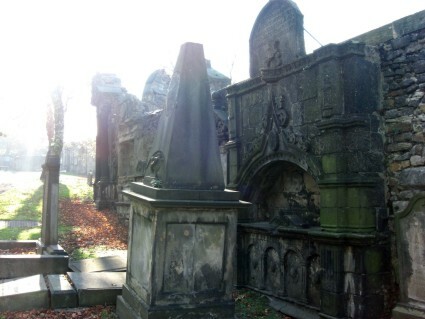 On the south side is the Covenanters' Prison, where the Solicitor General Sir George 'Bluidy' Mackenzie confined some twelve hundred Presbyterian prisoners seized after the battle of Bothwell Brig in 1679; his vast, pompous mausoleum has since the late 1990s been said to be plagued by a poltergeist by which tourists on 'ghost tours' can be pinched and scratched for a fee. 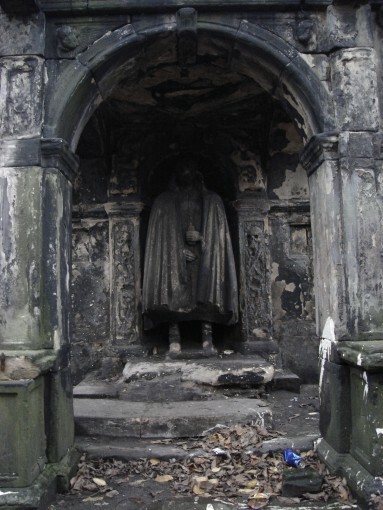 At the bottom of the slope is the mausoleum of John Adams, possibly the nastiest and most unsettling tomb in Greyfriars. 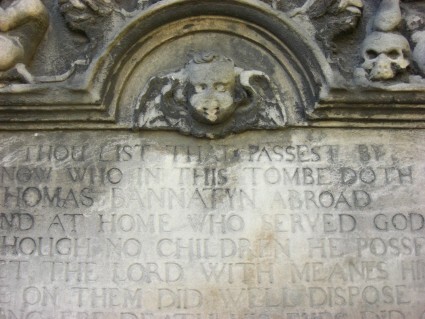 The fact that Goodman Adams's face has had cat's whiskers penned on doesn't alter the horrible sensation.